Serenitea is back to Glorietta! 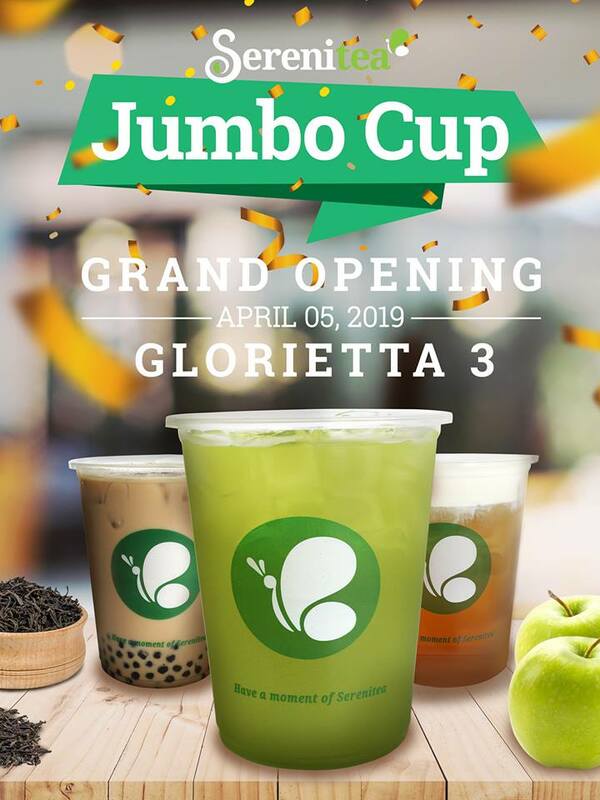 Check it out as Serenitea Glorietta 3 branch will grand open tomorrow, April 5, 2017! To celebrate, they will be offering Jumbo Cups all day! Yes, All day... Hurry on down and don't miss out on this treat.